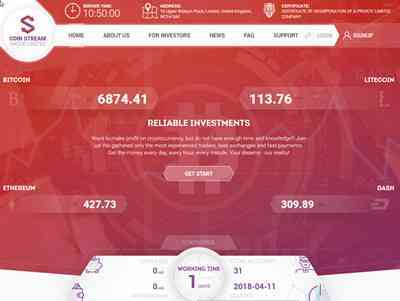 coinstream	+362.00	Received Payment 362.00 USD from account U15846644. coinstream	-351.75	1.75	Sent Payment 350.00 USD to account U15846644. Memo: Shopping Cart Payment. 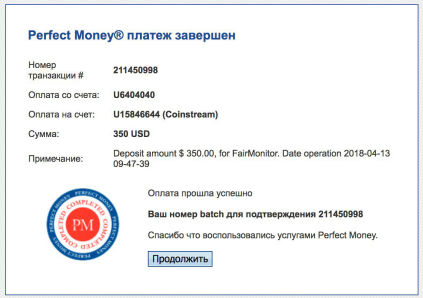 Deposit amount $ 350.00, for FairMonitor. Date operation 2018-04-14 18-26-14.